A: Hongkong Lensun Solar Energy was established in 2008, we are a world-leading manufacturer of high-performance solar power products,solar panel, folding solar panel, flexible solar panel,solar charge...etc. laser cutting machine, Non-Pb soldering line, module testing machine, laminating machine and so on. We use top-quality solar materials. Our experienced staff work together well to assurance quality under effective ISO quality management system. Our products are exported to Europe,America, Africa and other Asian counties with safety certificates, we offer our best service to customers all over the world. A: The items shiped from our UK stock, there is not any custom tax to UK and other European Union countries. A: Flexible solar panel two years workmanship warranty, other products one year warranty. Solar cells are guaranteed to produce at least 90% of nominal power in 10 years and 80% of nominal power in 25 years. How efficiency are solar panels? A: Normal grade A solar cell is about 18% efficiency, Sunpower solar cell is about 23%. Efficiency is not the only factor for which type of panel you are best to install. How to connect solar panel system? 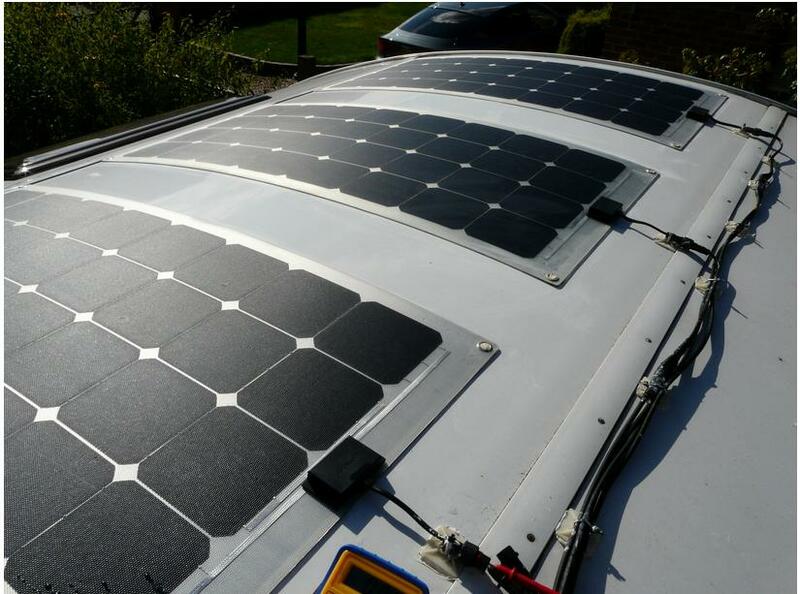 You can connect two or more 12v system solar panels in parallel into 12v system or in series into 24v system. A: Yes, though they produce less electricity. Under a light overcast sky, panels might produce about half as much as under full sun. A: Because of the wiring design of a solar module, all of the individual solar cells on a module must receive full sunlight for the module to work properly. If any portion of the module is shaded, the entire module power output-even those sections still exposed to sunlight-is lowered. A: The size of solar system you need depends on several factors such as how much electricity you use, how the size of your roof. Also, do you want the system to supply your complete energy usage or to supplant a portion of your higher cost energy usage? You can contact a system designer/installer to determine what type of system would suit your needs.